Something I found out cruising for (UEFI) EFI utilities to help fix HP ENVY 17j Clover boot error. two versions: osx and windows installers. Installing Chameleon with boot0, boot0hfs and boot0md install methods. Updating Chameleon only by replacing boot file. Downloading latests revs from server. DSDT: Compiling, Deassembling, Patching and Extracting. Fix for iMessage with Mountain Lion 10.8.3. 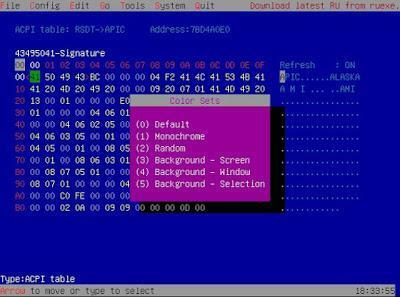 This is EFI-based bootloader for BIOS-based computers created as a replacement to EDK2/Duet bootloader http://www.tianocore.org. To compile it needs to place Clover sources into edk2/ folder. customizable GUI: themes support, own icons, fonts, background image, animated pictures, mouse pointers. Here is the standalone installer of the latest version of the Chameleon Bootloader as of April 30th, 2013. Just extract and run the installer. This is the Mod CD developed by PookyMacMan from the InsanelyMac.com Forum that is based off the OSx86 Mod CD. All credits and thanks go to PookyMacMan. Clover v.2 rL1667 64BIT and 64BIT UEFI Build only! 64BIT and 64BIT UEFI Build only! This is EFI-based bootloader for BIOS-based computers created as a replacement to EDK2/Duet bootloader http://www.tianocore.org. More detailed about bareBoot see here. In the folder EFI, you can find config.plist which has all posible parameters. the latest updates alltime here! under OS Windows XP and up. check this folder: EFI/doc/config.plist-FullSample/ for boot commands! I made a new theme for XPC. There is first theme that I did for this bootloader. Nice theme for Chameleon Bootloader. Unpack content for chosen screen resolution from attached archive to /extra/Themes/Default directory on boot drive. Many thanks to friends working on the project like Slice and all the other involved in this that i can't seem to remember right now! Special thanks to kyndder & fau7i for their help and for more info and help come by the [GUIDE] Clover EFI Bootloader thread here at our forums! Hello. This page will be always updated. This is a new version of XPC. Please, visit these links about any issues and problems. You can install the XPC straight on your computer, but the your hard disk must have GUID Partition Table. If set to 1, kernelcache will be searched for FakeSMC, and extra_kext will be skipped if it will be found in cache. Thx to aschar! -Fix DDR2 speed detection, thx to TimeWalker75a! -Fixed VolumeLabelText gets not used, thx to Alex! -Added new HotKey F2 to save an Screenshot in efi\xpc\screenshots. Included is an Windows-Tool (Dot.Net 3.0) to convert screenshots to JPEG format. Re-enabled small OS-Type indicator icons. Fix memory detection bug, scrolling in file-browser is new gui now (smoother scrolling). Some bugfix, scrolling in settings-editor is new gui now (smoother scrolling). For most Mach-O binaries to patch, XPC must not use kernelcache, because they are OSBundleRequired 'Safe Boot', and not in the cache. Added code for creating X86PlatformPlugin needed P- and C-States. For this, an IvyBridge or SandyBridge cpu is required, as well as an Board-Id and Mac-Model. Set CreatePStates to 1 (XPC will choose old or new code after checking if new code is possible). Added show CPU TDP in Hardware-Browser if Bridge-Cpu is used. Fixed some DDR2/3 and SPD detection problem. CreatePStates, 1 create, 0 dont create. PLimitDict, the value you get from ACPI_SMC_PLATFORM. MultiMin + MultiMax, the override for the min/max multi for your CPU. For example mine are 12 and 37, should not be used as you can control if XPC detects your multis with key '9' in GUI. So only use this if values are wrong. Multis displayed are 1C, 2C, 3C, 4C. Please Report if it will work. You should set RemoveSSDT to 1 when you want to create P-StATES. Some bugfix build 2. Some more fixes, DDR2 detection fix, as well some other. Report all problems please! Thx! Bugfix for detecting CPU frequency. Please leave feedback! Reworked new XPC GUI beta. Changed theme.plist, added theme folder in efi\xpc\, added xpc_wallpaper.png, and some code to make the GUI some smoother. Have a look in download! Please remember to copy the png icons! This switch set to 1 means that no Image-Boot devices will be shown in GUI after boot. If set to 0 or this switch is missing, Image-Boot devices will be shown. In GUI you can toggle between display and hide Image-Boot devices with key '6'. Added boot from InstallESD.dmg inside Applications-Folder. In XPC GUI you will see your volume with an OSX version displayed, and your volume with an label "Image-Boot". This will boot the installer. InstallESD.dmg can still lay in root of any HFS+ volume to boot from this, like before. !! Bugfix Build from 22.02.2013, 00:10 ! !